Hi Guys! Hope y’all are having a great week. I’m just over here playing catch up after a weekend away for our best friends wedding and busy planning Delaney Bug’s FIRST BIRTHDAY PARTY. Well really, it should’ve already been planned. I should be executing right now, but instead I am going to take a quick moment and post this delicious Cheeseburger Hamburger Helper. Growing up I seriously loved me some Hamburger Helper. The cheeseburger and beef stroganoff were my favorite. From the girl who wouldn’t touch red meat, unless it was in beef stroganoff, because that was my jam! We all know it definitely isn’t the healthiest thing that we can put into our bodies, so I’ve been on a quest to make a lightened up version and one that I feel okay, actually excited, to feed my family! 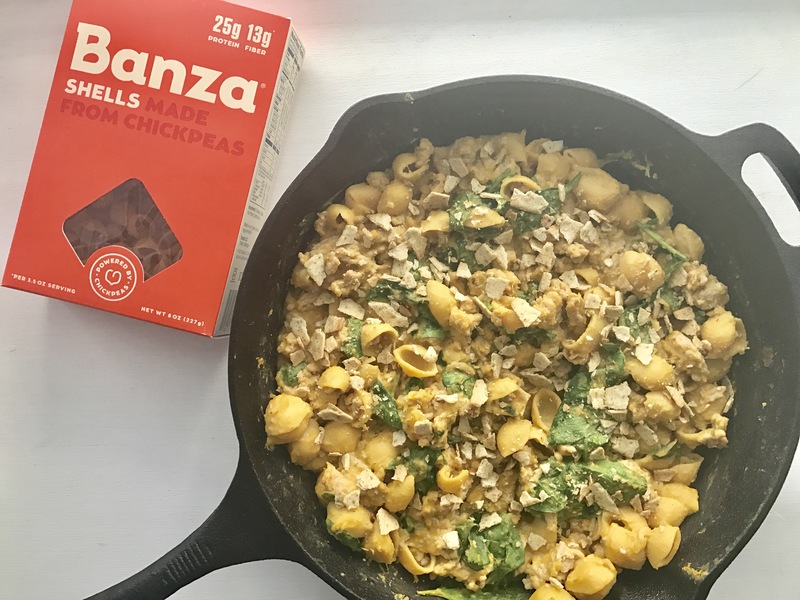 This recipe uses butternut squash to make a creamy cheese sauce and Banza Chickpea Pasta to boost the protein and fiber content, as well as make this dish gluten free! 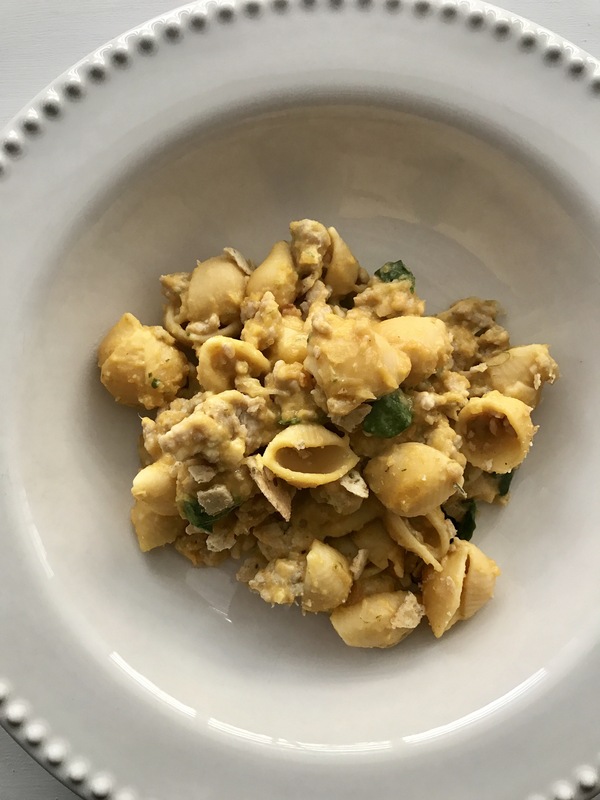 I used ground chicken, but I assume you could also use ground beef or turkey and even added some spinach for a hint of green! All three of us gobbled this up and it was super satisfying and delicious! Preheat the oven to 425. Saute onions or leek over medium heat with avocado oil, then to blender with steamed butternut squash and puree. Cook pasta according to package directions. While pasta is cooking, cook ground chicken in same pan you sautéed leeks. Add pasta to cooked chicken, then puree, cheeses and spinach. Once incorporated, option to sprinkle with crumbled crackers or bread crumbs and place in the oven for about 10 minutes until slightly browned!